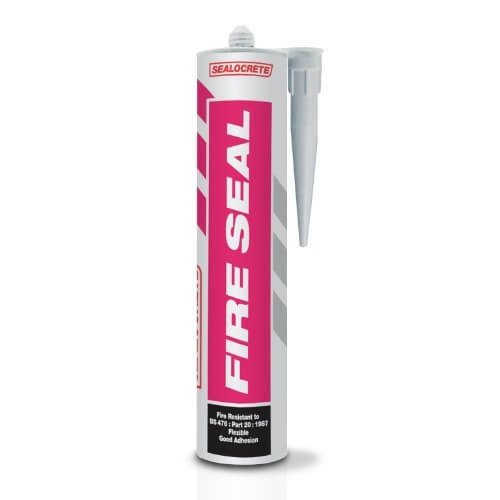 Sealocrete Fire Seal is a one part intumescent acrylic sealant that prevents the passage of smoke and flame for up to 4 hours when tested to BS 476 : Part 20 : 1987, for a minimum depth of 10mm. Sealocrete Fire Seal is designed to be used around door and window frames to provide a fire resistant seal and fill voids and gaps at wall and floor junctions. For internal use only.